I want to share with you some exciting news. Global Strategies' work has been selected as an example of how using data effectively improves the lives of children. 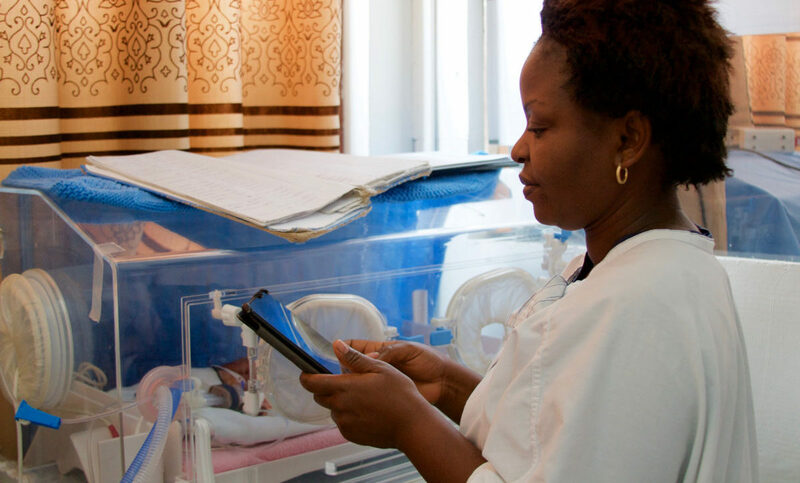 In an article from Magpi, Tracking Newborn Outcomes in the Democratic Republic of Congo, our work is featured for the impact made using daily data to track outcomes in the neonatal unit at HEAL Africa Hospital in Goma. Together with our partners we are making so much progress in the care of babies during their first month of life. Thank you for continuing to support our work. I would like to thank Global Strategies’ donors for imparting aid in the form of equipment including computers, tablets and telephones. This helps us to share information in real-time and receive immediate support and data.